I’ve mentioned before that I’m a big fan of Food 52. Food 52 sends out email posts a few times a week and I always find enticing recipes and reviews of gorgeous kitchen tools that make me want to whip out the credit card. When I read about a recipe by Judith Rae for Almond Scones I knew I’d have to make them one day. 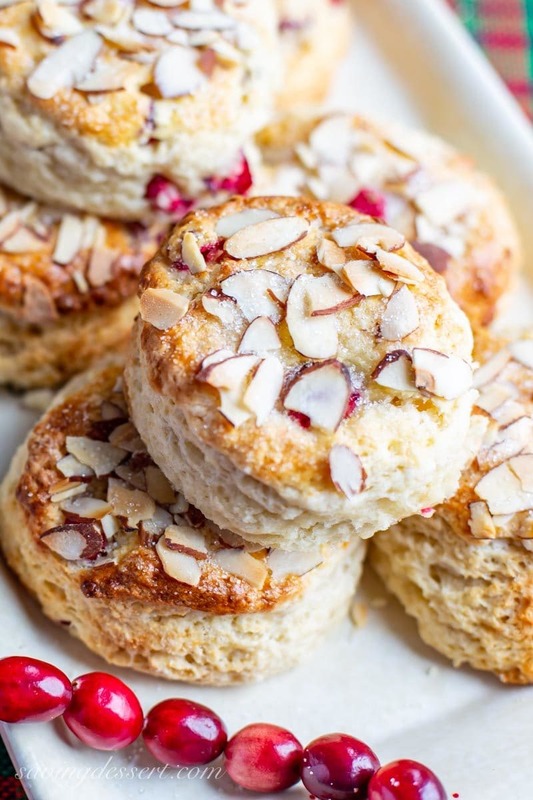 Then to seal the deal, Monica, from Playing with Flour, posted these scones and turned them into peach shortcakes – which was totally brilliant! 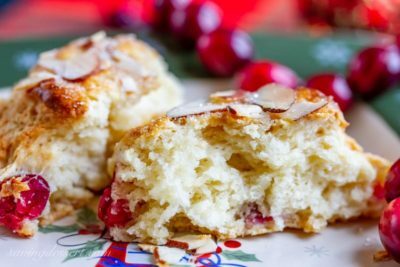 I couldn’t stand it any longer – so I popped my almond paste in the freezer and grabbed a bag of fresh cranberries and boy am I happy with the results! Almond extract is one of those flavors I can’t get enough of. In fact … I feel a little rush of excitement when I open the bottle and take a whiff of that amazing extract. It’s pure love! 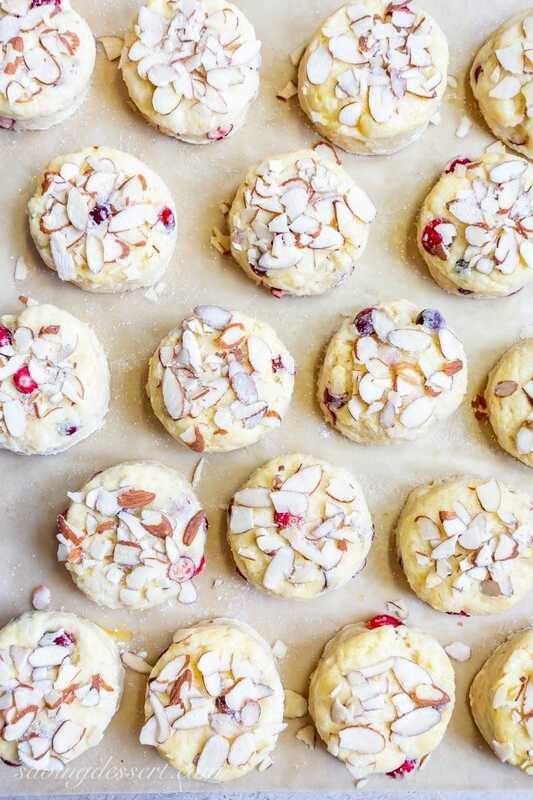 These scones are made with almond paste, almond extract and topped with sliced almonds. Is it almond overload? Not at all. 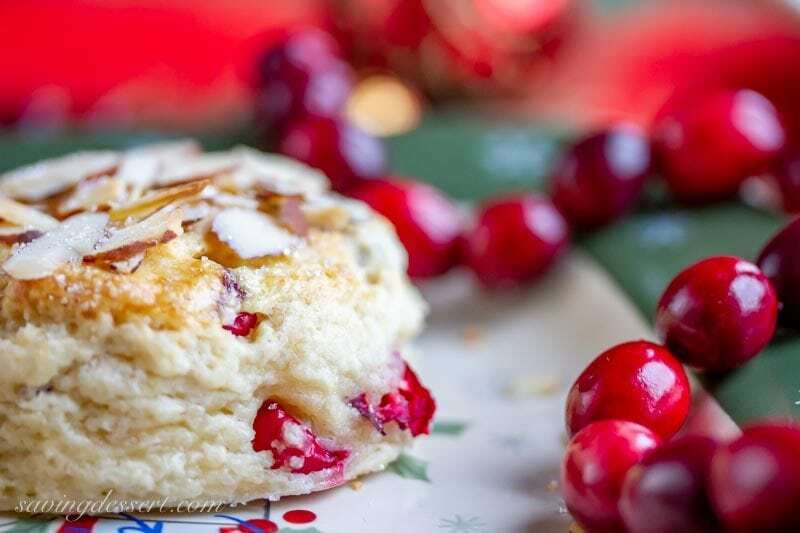 The cranberries compliment the almond flavor and don’t overpower the scone. The almond paste is frozen then grated on the large whole side of a box grater. This method creates a wonderful soft, fluffy crumb with bursts of almond flavor. Cold butter is cut into the flour mixture, then the grated almond paste is folded in. 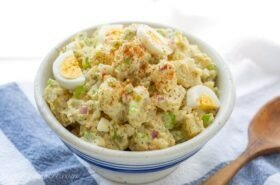 Buttermilk, an egg and almond extract are blended together then added to create a tender dough. To be more seasonally festive, and to use up my cranberries before they spoil, I folded in a heaping 1/2 cup of fresh ripe cranberries. The scones are cut into 2 1/2 inch rounds then brushed with a water and egg mixture. Topped with sliced almonds and generously sprinkled with coarse sugar they are then baked for about 20 minutes. The scones are not overly sweet so be generous with the sugar topping. The flavor is truly amazing. Fresh, tart cranberries are just enough to add a layer of flavor without overpowering the almond party. 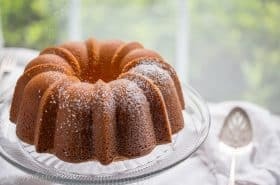 The perfect holiday treat for brunch or breakfast! A must make with your fresh cranberries. Enjoy! 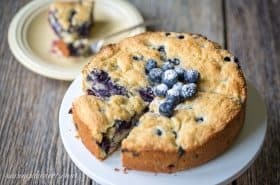 In a large mixing bowl, combine the flour, sugar, salt, baking powder, and baking soda. Using a pastry blender cut in the cold butter until the mixture resembles coarse meal with some larger pea size chunks of butter still remaining. Fold in the grated almond paste using a rubber spatula. 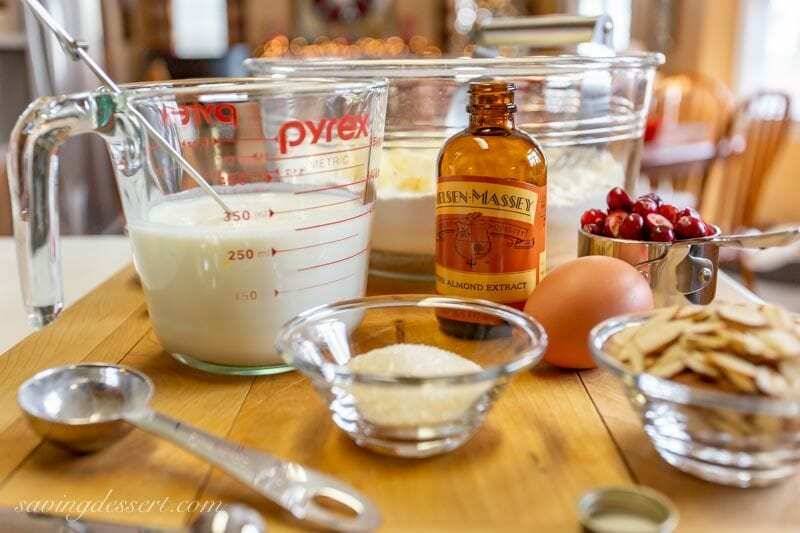 In a large measuring cup combine the buttermilk, almond extract and 1 egg. Blend with a small whisk until combined. 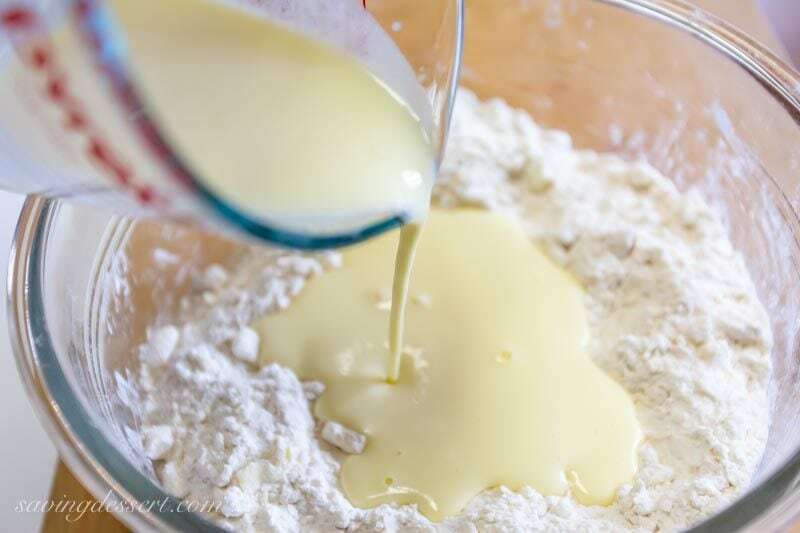 Add the buttermilk mixture to the flour and butter mixture. Fold together using the spatula until a dough starts to come together. Do not over mix. Turn the dough out onto a floured work surface and knead gently to combine. Press the dough out and sprinkle the cranberries on top. 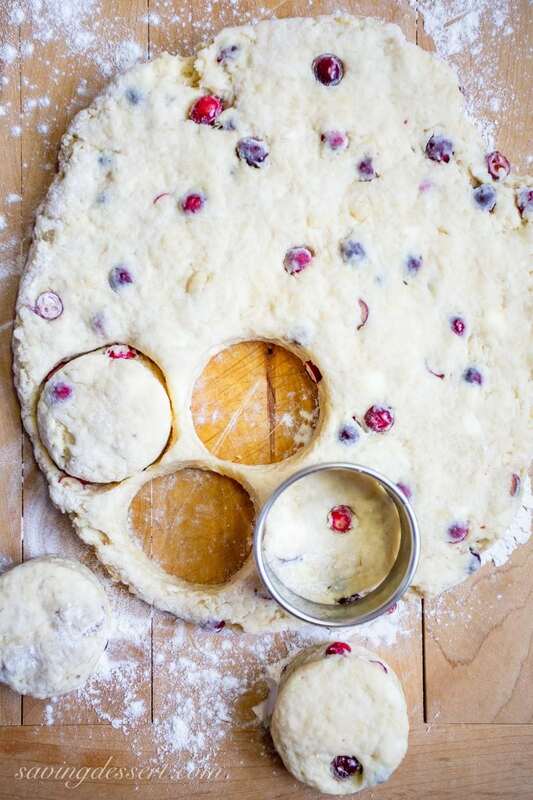 Fold the dough over a few times to incorporate the cranberries. Press the dough into a 3/4 inch thick round and cut into scones using a 2 1/2 inch biscuit cutter. Place the scones 2 inches apart on a large baking sheet lined with parchment paper. Brush each scone with the egg and water mixture. Sprinkle with coarse sugar, then sliced almonds, then a little more coarse sugar. I hope you have a wonderful holiday or very Merry Christmas. We look forward to spending time with our children and their spouses and grandkids. I don’t know about you but I’m actually looking forward to getting back on a reasonable diet without tons of temptations around every corner. New Year’s resolutions are on the top of my list this year! Blessings to you and your family and thanks so much for stopping by! Hi Cie – yes I am sure the recipe is correct. Glad they turned out fine for you. Thanks for trying the recipe! Hi, I am interested in prepping these the night before for xmas brunch and refrigerating the dough, do you have any suggestions or concerns? Hi Jessica – regarding your question about prepping these ahead, I don’t think they will turn out as light and fluffy as they should. Once you add baking powder to a recipe, you have to get it in the oven pretty quickly to ensure proper rise. Hope you get the chance to make them, thanks for giving them a try! your scones look perfect but then again everything you make is perfection:))) Hope you had a great Christmas and here is to a happy new year! Love following you and your amazing recipes year long! Thanks Susan – I hope you have a very Merry Christmas! HI Tricia, you are such a wonderful baker, love these scones. You have thought of every little detail. 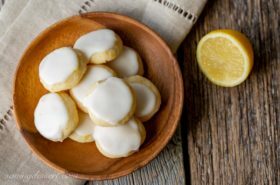 Thanks Cheri – you do a fantastic job in the kitchen with all your gorgeous creative recipes. Have a wonderful Christmas! Such gorgeous scones! And I even have some leftover almond paste in the fridge. This would be a wonderful holiday breakfast. Merry, merry Christmas to you!!! You rocked this, Tricia! I was just reading your comment and asking you if you used cranberries. It looks beautiful with it and you truly did a gorgeous job of it. 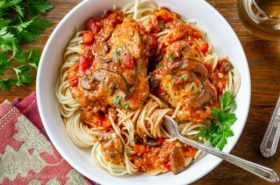 For me, this was one of those recipes I saw and couldn’t wait to make. I’m glad we share a love of almond extract (pass me the bottle!) among other things. Happy baking, cooking, eating, enjoying, and relaxing with your family during the holiday break! Aww thanks Monica! You are an inspiration! Merry Christmas to you and your family. Happy baking! 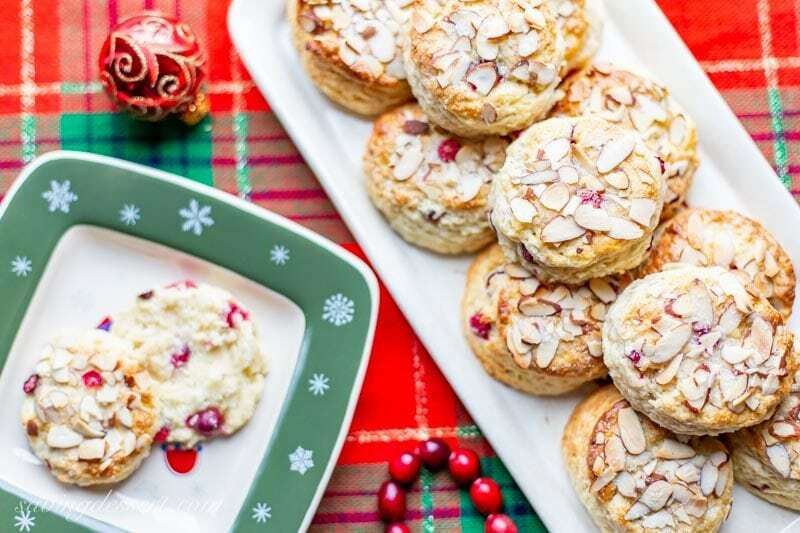 Wonderful scones and we too love almond extract flavor. Have a wonderful Christmas ! Enjoy your family and loved ones during this holiday week. Thanks Anna and Liz – blessings to you and your families too! Merry Christmas! 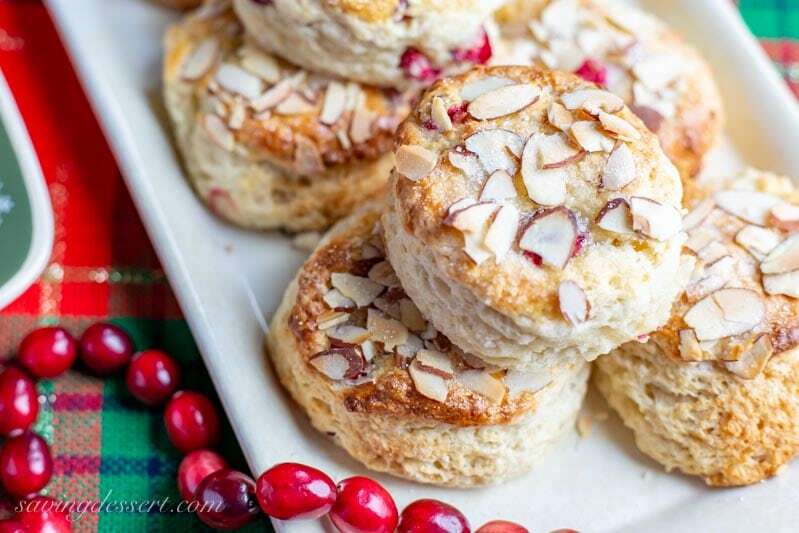 I love almond scones, they look great and great idea to add the cranberries! These are just gorgeous, and I love almond, the more layers of it the better. I also love your cranberry garland! Have a great week Tricia! You too Sue! Merry Christmas and thanks for stopping by! They look utterly delicious and beautiful, Tricia. Awesome clicks too! Thanks Angie – have a great week of family and fun and food! I know your holiday table will be gorgeous! These scones look so good! I love the little tart burst of cranberries- I bet they go well with the almond in these. 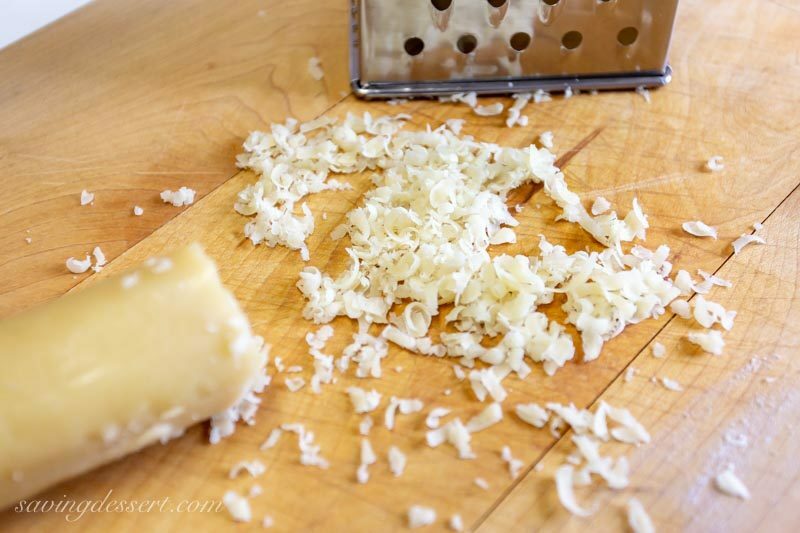 Great idea to grate the almond paste- can’t wait to try! I have company this week so it’s the perfect time. 🙂 (Whenever I open almond extract it reminds me of Jergens lotion- I love it!) Merry Christmas!